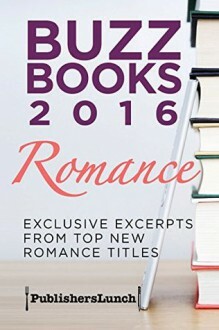 This inaugural edition of Buzz Books: Romance provides substantial pre-publication excerpts from 20 forthcoming romance titles. Enjoy access to the best romance voices the publishing industry is broadcasting for the upcoming season as you discover new series, catch up with the latest installments from beloved series, and find great standalone titles from top romance authors. This sampler has nearly every subgenre, too—historical romances set in different eras (Julia London’s Wild Wicked Scot; Kristy Cambron’s The Illusionist’s Apprentice, contemporary comedy, westerns (Lindsay McKenna’s Wind City Wrangler), sports romances (Sarina Bowen’s Rookie Move), thrillers and romantic suspense (Tiffany Snow’s Follow Me; Colleen Coble’s Twilight at Blueberry Barrens) and some with a touch of paranormal. Start enjoying books right now that are sure to show up on your personal “must read” lists. Then invite your reading friends and book groups to download their own free copy of Buzz Books: Romance, the ebook, from any major ebookstore or at buzz.publishersmarketplace.com. For the best in soon-to-be-published other fiction genres, plus nonfiction, and children’s literature, be sure to read Buzz Books 2016: Fall/Winter or Buzz Books 2016: Young Adult Fall/Winter, available now. Then be on the lookout for the next two editions of Buzz Books covering the spring/summer 2017 publishing season for both adults and young adults, available in January. 2.5. I skipped about a third of this but of the ones I read I only marked three or so to read but glad they finally did one for romance.